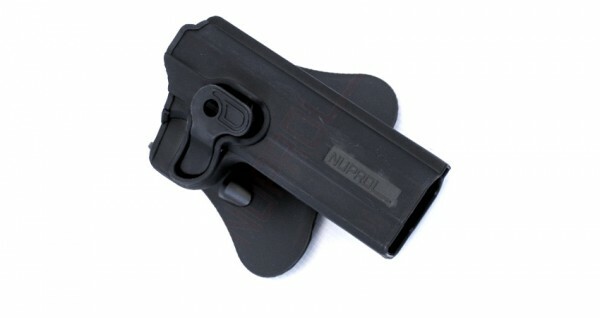 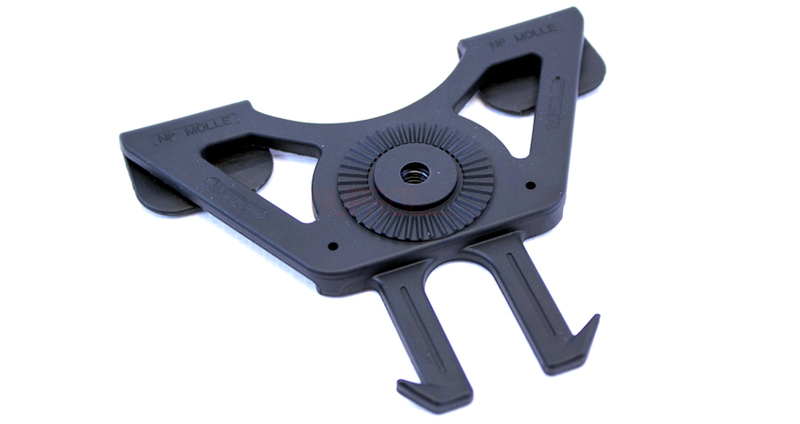 Nuprol MOLLE Adapter for Retention Holsters. 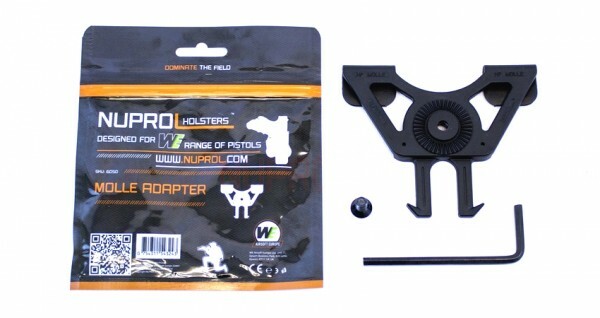 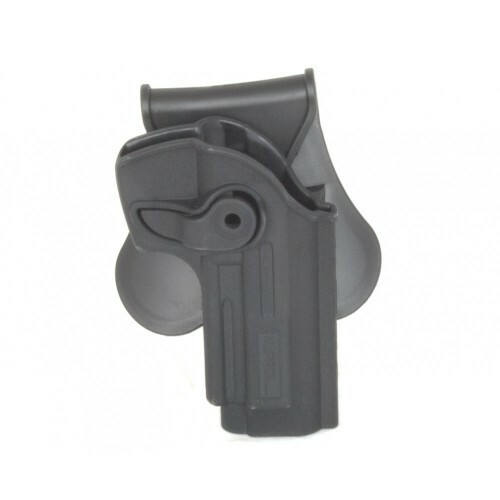 NUPROL Retention holster series are made of durable law enforcement grade black polymer and specifically designed for use with WE Pistols that do not fit standard holsters. 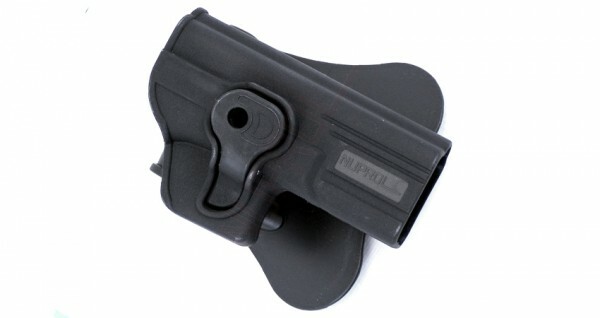 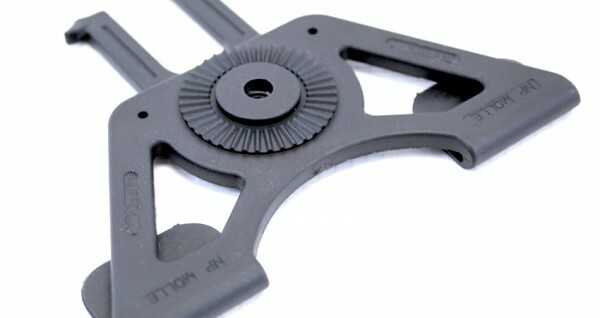 NUPROL Perfect Fit holsters are a rotating belt holster that fits WE, TM, and many others. 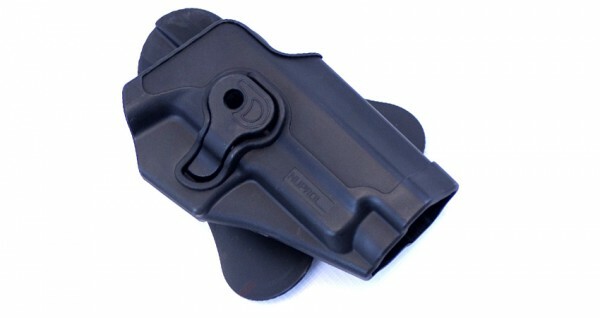 These are the ONLY holsters on the Market that have been specifically designed for Airsoft.